The Sunrise Service at 7am on Easter morning was a music filled celebration of the resurrection of our Lord. Although the sun didn’t shine, the 40 or so attendees did as they greeted one another with Allelujah! Congregents from several churches participated in the service, and local pastors shared in the time of worship. Following the short service, a community breakfast was held in the church’s Fellowship Hall where pancakes and the fixin’s, along with eggs and sausage, and some pasty goodies was served. 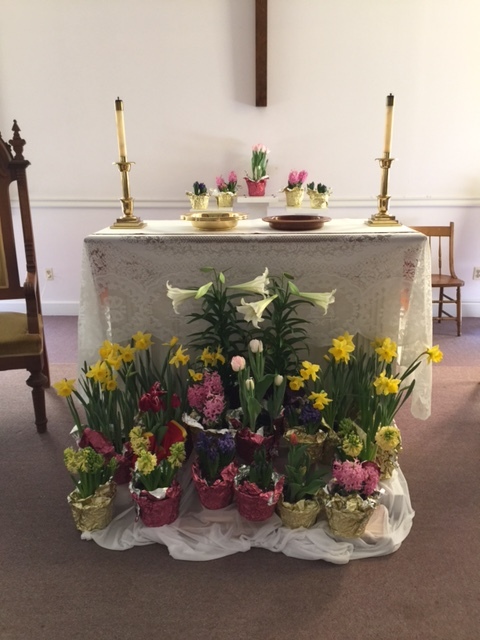 The 9:30 am worship service was another celebration of Christ’s victory over death, and the almost 100 folks who gathered together were pleased to see the lovely spring flowers that adorned both the Narthex and the Sanctuary. Easter blessings to you all! 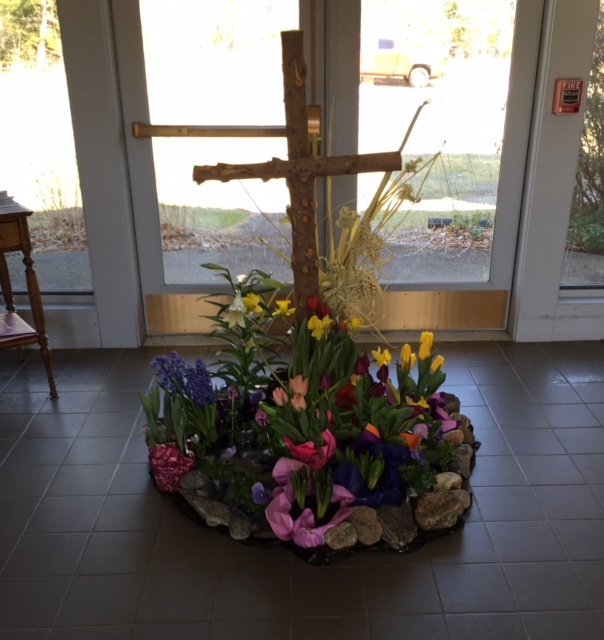 This Easter Cross arrangement greets everyone as they enter the Narthex of the church. The altar in the Sanctuary looked especially lovely this Easter morning.